Add fingertip control to your Allison transmission for easier shifting when passing, pulling, hill climbing or wherever you need to switch gears quickly – just like the newer trucks. BD’s Tap Shifter Kit includes new gear shift lever, control module and dressed harnesses to make for a clean and easy install. 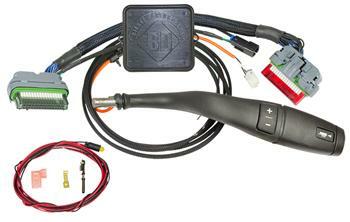 For 2001-2002 models, a dash mounted amber LED light is also added for OD disable indication.